Easy, Convenient and On-time delivery to your door. 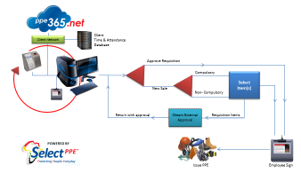 Orders are made via the client ordering system and notifies the PPE warehouse of the requirements. Select PPE will preload, pick and pack the orders on the mobile store with a build in issuing system. 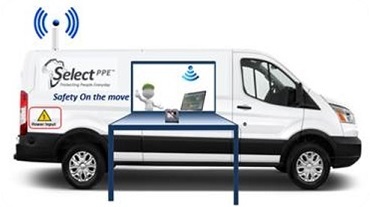 The mobile store drives to various sites and delivers stock to predefined designated areas. These Mobile Stores can service 500 - 1000 Employees.